Jim's youngest brother, Mark, has made fleeting yet notable appearances with Simple Minds. Whilst most associated with the band during the late 1990s and early 2000s, he appeared in the Waterfront video at the beginning, walking through the detritus on the Barrowland floor after the video shoot. 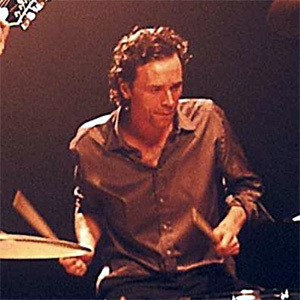 In the late 1990s, whilst in the band Sly Silver Sly (along with Eddie Duffy), he was drafted in to provide the drumming for Our Secrets Are The Same and penned Happy Is The Man which appears on the same album. He also played guitar and sang backing vocals on several of the Cry tracks; and also donated a Sly Silver Sly track to the project which became Face In The Sun. He also appeared as the drummer in the original Dancing Barefoot video. Photographs from the session were used for the Cry artwork and he appeared on the front cover of the album. His last appearance to date was to complete the trio of the acoustic Simple Minds line-up who played a live session on Chris Evan's Breakfast Show to support the release of the Honest Town single and the Big Music album.